British ace George Groves says he’s ready to burst onto the world scene as he challenges for the WBC world title in Floyd Mayweather’s final bout. “Every fight is more vital than that last, more important than the last, and there’s more to lose, especially once you’ve lost,” said Groves. “I came back after losing last year and won the European title; I became the mandatory of the WBC. Since then we’ve been rolling and waiting for our opportunity to fight for the WBC belt. We knew it would come so we’ve been patient with it. “People will consider this a 50-50 match up. We’re going to go in there and show people that they couldn’t be further from the truth. We’re in a great place, and we’re just ready to perform, to steal the show and arrive on the world scene. Hammersmith hero Groves has spent the last two months training in the US at Big Bear Lake, undergoing grueling mountain runs to whip him into shape. Up against Jack, he’ll face an opponent with a record of 19 wins, with just one loss and a draw on his record, but Groves insists the Swedish-born fighter won’t be on his level. “But we’re in phenomenal shape. First we came up here; I was in good shape. I was struggling to breathe because of the altitude. But now, we are flying. We’re getting better results than we do back in London when we’re out in flat land, and there’s more oxygen. “We’re going to go bring the fight to Badou Jack. Make sure he works for every second of every round. From there on in, the gameplan will develop,” he said. “It’s a 50-50 fight, and I think that’s where you don’t know who’s going to win. That’s what makes it so exciting. 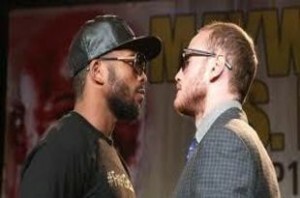 I believe I’m the better fighter, and I’m 110 percent confident that I’m going to win this fight,” he said.